SuperTuxKart has changed much the last few weeks; sorry for not supplying you with the news sooner. Anyway, here we go. This test changes the ambient color to light red, and furthermore, it is activated and deactivated by crossing driveline quads! This can be awesome for track designers wanting to spice up their tunnels with different lighting. If you look closely, you'll see that the character on this screenshot leans towards left while turning left. Compare it to the screenshot above, and you'll see that it leans the other way when turning right. The road for simple animations on the characters, like this one, is clear. Thanks to Rudy85 for the animated model. Sorry for the somewhat fuzzy screenshot, but the refresh rate made the chest look uglier than it really is. 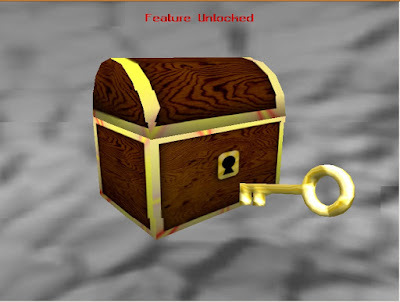 This little animation shows a key for the "Feature Chest" being inserted. I guess it's not finished yet, but it shows what we can expect for STK 0.7. Furthermore, the background texture is also animated. As you can see, there's more than enough to play with for artists of any kind: sound effect makers, 3D modelers, animators et cetera et cetera. We need your help in order to make 0.7 a milestone in the SuperTuxKart history. In other news, the development version is mostly ported to work with the new version of Irrlicht (version 1.6). 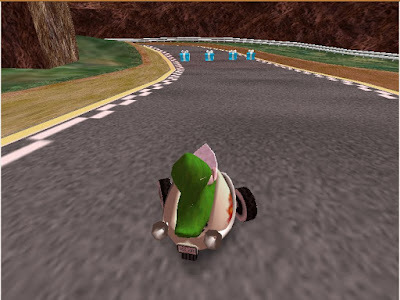 Also, a SuperTuxKart 0.6.2 binary for Solaris and a binary for Linux-PPC has been made by xeno74. They can be found at the SourceForge download page. The forum is down due to a hard disk crash, and it has been so for a week. The FreeGameDev staff are trying to save all the posts on the FGD board; take a look at the FreeGamer blog for details and news regarding this issue. 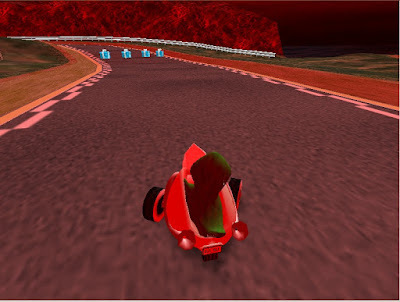 A binary of SuperTuxKart 0.6.2 for Linux-PPC has been made by xeno74, and it can be found at the SourceForge download page. Thanks for letting me know. I've edited the blog post.